Since we opened our doors over 30 years ago, Rhodeside Auto Tune has been providing our clients with an extensive range of services geared towards keeping their diesel vehicles in top condition. Our staff are all qualified professionals within their respective fields and are dedicated to giving you the best service every time you interact with them or visit our workshop. A vehicle that you purchase is an investment that needs to be kept in prime condition for many years. Not only is this to ensure that your vehicle lasts, but it’s to keep your vehicle in peak condition and prevent any kind of malfunction that could have been avoided with excellent and experienced servic-ing. It’s for these reasons that we’ve made it our mission to provide you with quality diesel vehicle services. • Diesel Tuning – Our team of licensed motor mechanics regularly conduct diesel tuning on all manner of vehicles, including mechanical and EFI diesel engines. • Performance Upgrades – When it comes to upgrades on exhaust systems, Rhodeside Auto Tune can conduct repairs, replacements, and upgrades to pumps, turbos, injec-tors, intercoolers, and intake systems. This is all in the effort of prolonging your vehi-cle’s lifespan, and ultimately keeping your vehicle at peak performance. • Diagnostics – We have access to the latest diagnostics scanners that are available to our technicians, which aids in the diagnosis of faults and problems. These services aim to keep your vehicle more fuel efficient and increase its overall performance while minimising your carbon footprint. • Repairs – An auto mechanic is only as good as the repair service he conducts. We’ve made it our priority to ensure that every time you book your vehicle in for repairs, we provide you with excellent and knowledgeable service. In our shop, we conduct EGR system cleaning, cylinder head replacement and services, engine rebuilds and modifi-cations, and more. • Injector Services – The heart of any diesel engine is the fuel injector. That’s why it’s so important to keep it maintained and have your chosen mechanic check it with your regular services. Our team is fully equipped and capable to conduct replacements and upgrades to diesel fuel systems. • Turbo Upgrades – Your turbo charger is responsible for allowing your vehicle to pro-duce higher power outputs. Upgrading a turbo will provide you with a greater scope for tuning your diesel vehicle together with an upgraded intercooler. We have an in-house Dyno to provide accurate measurements of power, torque, and emissions. • Services and Repairs – Whether you need a general service, or just a checkup, we can provide all manner of servicing to make sure your vehicle is performing at its best. We conduct servicing and repairs on all diesel vehicles, including 4x4s, 2wds, and die-sel cars. We’re dedicated to providing you with services that are not only cost-effective but are conducted by industry professionals who are dedicated to excellent customer service. We believe that these are the main reasons why we’ve been able to keep our doors open for over 30 years and have always maintained a high standard of professionalism. 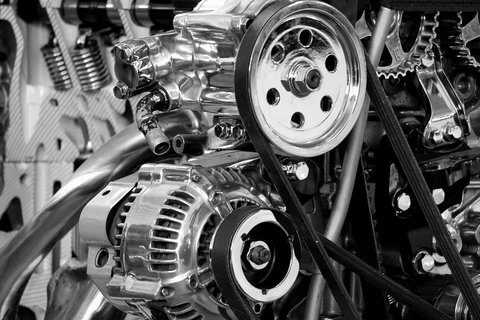 If you’re in need of a service for your diesel vehicle in Willetton, look no further than Rhodeside Auto Tune. You can get in touch with us either by filling out our online form, or by calling us directly at (08) 9457 1776.